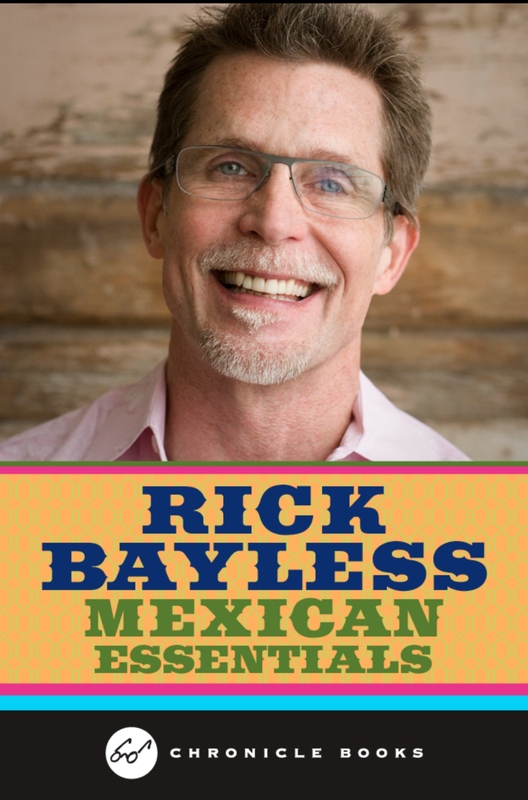 On the Cookbook page of my blog, you will find a review of Rick Bayless’ Mexican Essentials tablet app, which I recommended to readers. It’s inexpensive, beautiful and widely inspiring. I always cook from books or apps in order to evaluate them: Do the recipes work? Are they well written? Full of tips or livened with anecdotes? Was the food good, plain and simple? 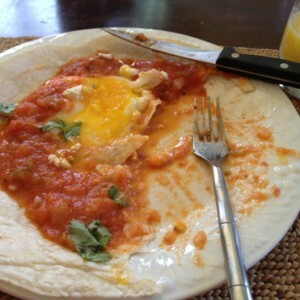 From the 35 recipes on this app, I chose to cook classic Huevos Rancheros since my family is egg-obsessed. We’re breakfast people through and through. Note: I made this recipe for 3 people only but cooked the full amount of sauce. We enjoyed the spicy leftover on steak and rice the next day. 1. In a rimmed baking sheet, broil the tomatoes in the oven (about 4 inches below the broiler) around 6 minutes per side or until charred. You can remove all the blackened skin or leave some patches the way I did to add smokiness to the sauce. Put tomatoes and cooking juices in a blender and grind to a coarse puree. 2. In a heavy pot over medium-high heat, cook the onion and chiles in half the oil about 5 minutes or until lightly browned, stirring often. Add the garlic and stir-cook 1 minute more. 3. Add in the tomato puree and cook while stirring for 5 minutes, until thicker and darker. 4. Reduce heat to medium and add in water. Simmer for 10 minutes, season to taste and set aside to keep warm. 5. Fry the eggs sunny-side up making sure the yolks remain runny. 6. 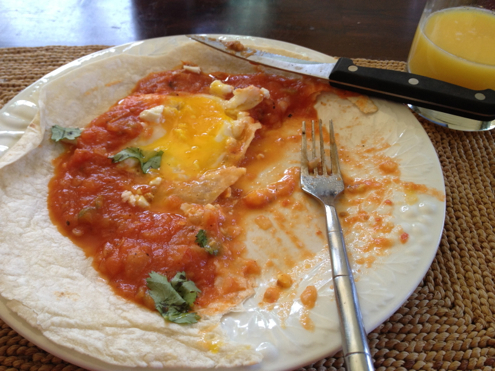 Cover each plate with 2 overlapping warm tortillas, top with 2 eggs and spoon sauce all over. 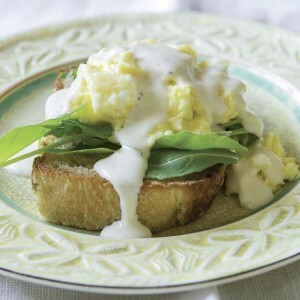 Garnish with cheese and cilantro to taste. Serve immediately. 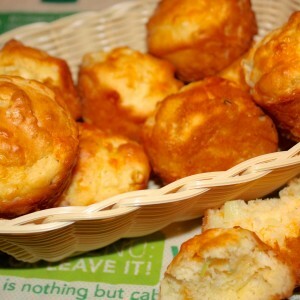 Je suis moi-même rédacteur fantôme de livres de recettes (Au Pied de cochon et Stefano Faita), et je viens de terminer une collaboration avec Stefano Faita pour une application de bouffe incitant à découvrir la Petite Italie à travers ses recettes, pour promouvoir son émission de télé, Al Dante. Allez y jeter un coup d’oeil. C’est gratuit, en plus! Merci de la suggestion, Jean-François, c’est téléchargé depuis quelques jours déjà. Je la surfe déjà (et je possède 2 livres de Stefano en plus…). Billet en venir bientôt j’espère.